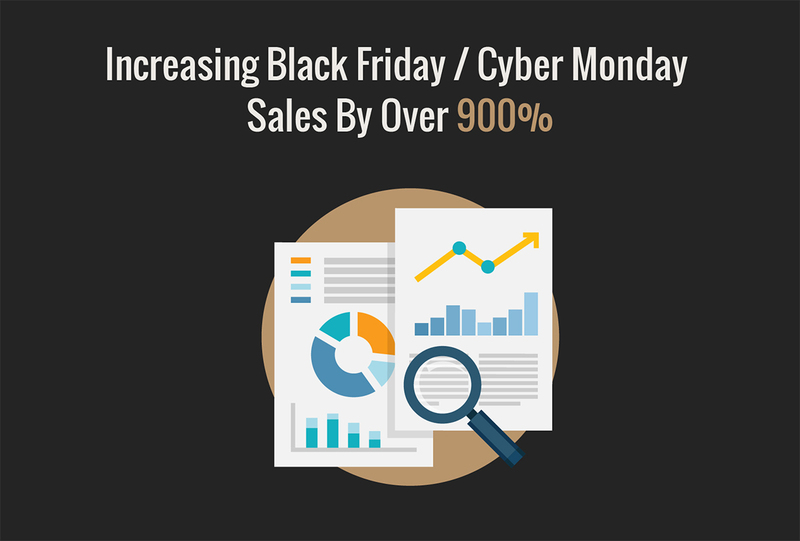 Like it or not, Black Friday & Cyber Monday have become a major fixture in the retail calendar, in recent years. It’s safe to say the UK has fully adopted this US promotion, in order to drum up more sales prior to the Christmas rush, and online retail plays a huge part in this. So, how do you increase online sales, as every bargain hunter waits with bated breath for the best deals on the internet? It’s imperative that you have a strategy in place to entice potential buyers to consider your brand, its store and its products. There’s no point having a last minute thought and rushing around to get the campaign live. You need to have a well thought out structure in place to capture as many shoppers as possible and to ensure there are no hiccups prior to launch. We liaised with our client and, following their communication, placed a site-wide 20% discount on all of their products. We did this via the cart rather than using a discount code as it can help a smoother transition from basket to purchase. Codes can be useful if you’re looking to track certain metrics and where you’ve placed your advertising but on this occasion a site-wide discount enabled us to negate the need for a code. As mentioned above, it’s vital that you plan well in advance. This gives you sufficient time to decipher and tailor the types of communication and when. Questions to pose are ones such as: does your Black Friday offer differ to Cyber Monday? What channels are you going to use and how long do you intend on running the promotion for? If all of these questions are considered and answered in the planning phase, it will lead to a smoother execution. Once you have planned your campaign with meticulous detail as per the above, there is then the need to ensure all of the elements of the campaign are in place. Elements such as artwork for the homepage takeover banner, social banners, email banners etc. are vitally and equally important as one another. Experience with a client’s brand will help you to decide which channels are the most appropriate to gain maximum exposure. Once this step is complete, it’s then down to making sure that all the preparation for these channels is carefully thought out. Arguably, the most important aspect is how our campaign was executed. We decided to use channels that have performed well for the client and ensure these are utilised to their full potential. This included social media, email and the website itself. (Prior to this, we had developed and readied elements of the site to cope with the increased demand). In the days leading up to Black Friday, we installed the homepage takeover banner so that any visitors to the website prior to the weekend were made aware of the impending offer. This was carried through on social media by changing the page banner to communicate the offer and set-up advertising to target the right demographic. Furthermore, we sent out an email campaign in the days leading up the weekend to ensure that any possible customer was notified with the promotion in advance. Furthermore, once the offer was live, we needed to ensure regular communication to customers was enforced. Again, we continued to run social media campaigns throughout the weekend and then followed up the initial email campaign with a further Cyber Monday email. This led to a large increase in sales. From the illustration below, we managed to increase client revenue by a huge 972% compared to the same weekend in 2016. 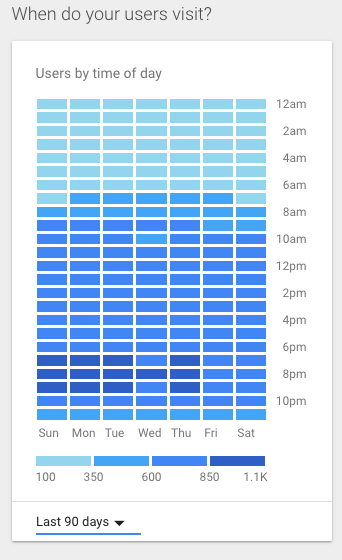 It is also important to research when the best times of the day are in terms of traffic to maximise sales. Using Google Analytics, we analysed the data to see when the traffic was heaviest on the site. We had found that the traffic was heaviest later in the evening – from 7pm onwards – and therefore, sent a final reminder email at 7pm to urge customers to grab the offer before it ended. Regular and close analysis of the site, to see where we could leverage new sales, and increase conversion rate from the new and returning visitors we’ve brought to the site, had been carried out for over the duration of our relationship with the client. Not only is it important to drive traffic to your website from the marketing channels at your disposal, but it is also important to ensure the traffic that arrives to your site has a greater chance of converting. As the above screenshot shows, we managed to increase conversion rates by 399.40%. We believe this has been achieved by installing a smart search function, the reduction of page load speed, creating an easier navigation with added categories in an enhanced menu. Further optimisation of the site to make it leaner prevented any compromises. In summary, whilst you may not be on-board with the adoption of the Black Friday / Cyber Monday weekend itself, it is evident customers are awaiting deals to become available. Granted, they may be anticipating such a promotion to occur but to give yourself the best chance of generating increased revenue and sales, you should maximise your marketing efforts to capture them. It could work wonders for your business. If you’d like to discuss any of the services we offer and how we can help increase revenue for your business, please get in touch. How Colour Can Complement Your Brand.